By joining the PTA, you help support the efforts of both the California and national PTA organizations, both of which do vital work advocating for our children at the state and national levels, respectively. Your PTA membership gives you voting privileges at all Alvarado PTA General Assembly meetings, the meetings during which we discuss and approve (or reject!) proposals for how to allocate funds raised by the PTA to diverse, and sometimes competing, academic and enrichment programs. Finally, and perhaps most importantly, the bulk of your membership dues is used to directly fund programs at Alvarado. PTA membership costs $10.00 per person. Most of this money (60%) is used to finance programs at Alvarado, and the remainder is sent to the California and national PTA organizations. 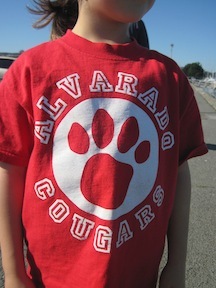 Members must RE-ENROLL EACH YEAR, but if the fee is a challenge, it can be waived by contacting the membership chairperson at pta_membership@alvaradoschool.net. 2. You can pay online using Totem, Pay Now.